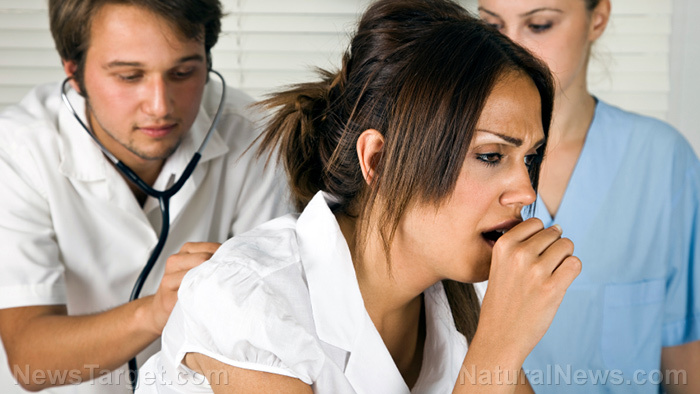 (Natural News) A herbal compound used in traditional Chinese medicine can be used to treat a type of pneumonia caused by multidrug-resistant bacteria, according to researchers from the Henan University of Chinese Medicine. In their study, which was published in BMC Complementary and Alternative Medicine, they suggested that Dusuqing granules have the ability to inhibit the effects of Klebsiella pneumoniae, a bacteria known to cause a range of diseases, most common of which is pneumonia. Ren Shen (Ginseng) — The herb is used to strengthen the lungs, and is said to be particularly beneficial for people suffering from asthma, wheezing, and shortness of breath. Mai Dong (Dwarf lilyturf) — The tubers of the dwarf lilyturf are used in traditional Chinese medicine to nourish the yin, especially in those who have symptoms of a dry cough and chest pain. Sheng Di Huang (Chinese foxglove) — The roots of the Chinese foxglove can increase fluid intake and cool the blood for those with a high fever. Gua Lou (Chinese cucumber) — The fruits reduce abscesses in the lungs and help expel phlegm. Yu Xing Cao (Chameleon plant) — The herb alleviates lung infection, as well as treats coughing with thick yellowish-green sputum. Bai Tou Weng (Chinese pulsatilla) — The roots can treat infections caused by Trichomonas vaginalis, a common sexually transmitted disease. In the study, the rats were injected with K. pneumoniae to mimic the effects of bacterial pneumonia. These were then assigned to either the control, model, those treated with Dusuqing granules, and those treated with levofloxacin, a prescription drug used for bacterial infections, including that of the lungs. To note, levofloxacin has a boxed warning from the Food and Drug Administration, as it carries the risk of dangerous side effects like psychosis, convulsions, and even severe muscle weakness (myasthenia gravis). The rats in each group were treated accordingly for a week, after which the researchers collected samples from the lung tissue for further analysis. They found that rats treated with Dusuqing had suppressed their inflammatory response to the infection. “Additionally, [Dusuqing] can also alleviate pathological changes in the lungs, including reducing inflammatory cell infiltration in airspace and vessel walls, alleviating pulmonary congestion and hemorrhage, and decreasing alveolar wall thickening,” the researchers wrote in their report. The first instance of the superbug was discovered in 1981, when doctors in Taiwan found a strain of Klebsiella that resulted in liver damage and quickly spread to other parts of the body. The latest instance is now in India, where 40 percent of Klebsiella infections in the southern part of the country are considered hypervirulent and multidrug-resistant. Learn more about traditional procedures that can treat bacterial infections by following ChineseMedicine.news.